Hobart Financial Group is an independent financial advisory firm serving clients throughout the nation. Founded in 2004, we have developed our business by reaching out to and nurturing and maintaining close, trusting relationships with each of our clients. Hobart Financial Group is regularly sought after by the national media for perspective on issues that impact affluent investors. Visit our “In the Media” page to see what our team has to say to CNBC, the Wall Street Journal, Reuters, MarketWatch Radio, Fox Business, and more. We understand how important it is for you to be able to trust your financial professional. It’s important to have a financial planner who you can count on to provide you with accurate and helpful information. 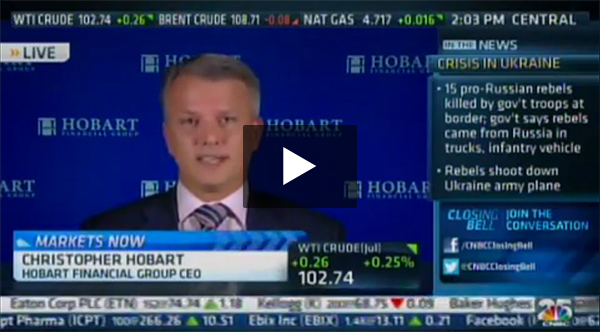 You can rely on Hobart Financial Group to be that knowledgeable financial advisor. We are experienced, responsive, and understand your need for integrity and transparency. It can be difficult to make financial decisions without access to information. To schedule a time to discuss your financial future contact us below or call us at (704) 553-0123 today!